THE team you support may have finished well adrift in the finals race the previous season, but round one brings a whole lot of hope and expectation to fans across the nation. In terms of the WAFL Colts, we saw a terrific conclusion to the 2018 season with Subiaco edging out Swan Districts in an absolute thriller. There are bound to be plenty of storylines and young stars looking to put their names in front of the AFL gurus. With all that said, let’s get on with the action. Swan Districts started their quest for Grand Final redemption in strong style after holding off a gallant South Fremantle outfit by four points at Steel Blue Oval on Saturday morning. After South Fremantle controlled the early passages of play without converting truly it it was Jermarl Daly who got the first goal of the season for the black and whites. 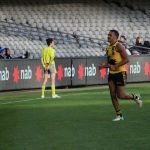 The visitors continued to bring the ball forward with confidence and eventually got their reward when Malachi Walley crumbed the ball well to kick the Bulldogs first of the season. A mark and goal by Jebh O’ Donohue saw the home team reclaim the lead at the twenty minute mark. For all their attacking thrusts, the Bulldogs deserved to be closer than what they were and Jaxon Bellchambers did just that snapping truly to give to cut the deficit to three points at quarter time. The second quarter was all about 17-year-old Daly, with the South Hedland product causing many headaches for South Fremantle’s defence. The well built youngster took a number of one-grab marks and kicked three goals for the term. Swans blew the margin out to 22 points midway through the term but the Bulldogs steadied somewhat with a goal by bottom ager Dontay Bolton and trailed by 14 points at the long break. In terms of possessions, bottom-age Swan Districts talents Zane Trew and Ty Sears led the way with 13 and 12 disposals respectively, while Jacob Sax was a shining light for South Fremantle with 15 disposals. The key figure of Daly started the third quarter where he finished the first half, this time snapping truly for his fifth of the game. The Bulldogs were looking threatening every time they brought the ball forward but could not convert their chances. That changed when Walley kicked his second for the game, but Daly had the answers yet again two minutes later kicking his sixth. Toby McQuilkin was looking lively in the third term and was unlucky to miss from a previous attempt but made amends a few minutes later to cut the margin to 13 points. Even though it was the first game of the season, the heat had definitely gone up a couple of levels. The home team led by 12 points at three quarter time and the questions was whether Swans could hold on or South Fremantle produce a comeback victory. The Bulldogs peppered the goals in the early stages of the quarter continuing their fine end to the third term. Their perseverance paid off as they kicked two goals through Brodie Plunkett and Nathan Spooner to give them the lead since the early stages of the first quarter. However, try as they might they could not build on that lead and despite having just two scoring shots for the term, Swan Districts were able to kick the match winning goal through Kade Walldrot with four minutes remaining on the clock and were able to see the game out to claim their first four points of the season. As we see so often in a new season, the skills were a bit rusty, but it was a highly competitive affair with a lot for both coaches to take away from the game. While were a number of impressive performers on both sides, in terms of pure difference makers Jermarl Daly was exactly that with his six goals. If he can replicate even half that output on a regular basis, Swans will be certainly up amongst the contenders again. Swans have a well rounded team with exciting talents like Kade Walldrot and Brenton Hilton who can play multiple positions, while their key defenders in Jake Pasini and Jack Allen are more than capable of keeping their opponents under wraps. South Fremantle have a very nimble running fleet led by the likes of Jack Musika, Jacob Sax and Manfred Kelly while Malachi Walley is a very clever operator in the forward 50. Last season they made a sluggish start before storming home and making the top five, so a good start is imperative if they want to progress further this season. In a rematch of the 2017 Grand Final, it was East Fremantle who came out on top winning another thriller on the opening day of the season by two points at Claremont Ovql. Unlike their Fremantle rivals, the Sharks’ comeback in the final quarter was successful with Trey Roscoe kicking two goals in as many minutes which helped overturn a 10 point deficit and topped off a fine display as he also compiled 20 disposals, five marks and four tackles. Ronin O’ Connor was a tireless worker for the Tigers with 20 disposals and nine tackles. Subiaco’s Premiership defence got off to a shaky start as East Perth caused the biggest upset on the opening day of the season defeating their co-tenants by 33 points. The Royals who finished twelve games behind Subiaco last season finishing in eighth position, set up their win with strong first half and went on the job in a professional fashion. Jaxon East was a game breaker for the Royals with 27 disposals and three goals while Harley Sparks was prominent throughout with 32 disposals. Tristan Hobley like he always does for the Lions was tireless with 30 disposals and 10 tackles. 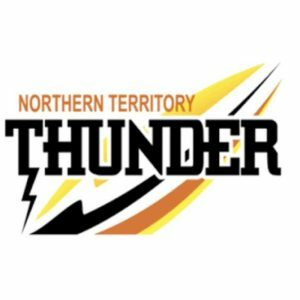 2018 Preliminary finalists Peel Thunder never relinquished the lead but withstood a number of challenges from West Perth to run out 17 point winners at David Grays Arena. Jarvis Piña led the way for the home side with32 disposals, eight marks and four tackles and he was well supported by Bradley Oldfield with 22 disposals and five tackles while Tyrone Thorne was lively with 17 disposals and two goals. For the Falcons, Koopah Todd with 20 disposals and eight tackles, along with Ben Johnson with 17 disposals and two goals were strong contributors for the visitors. THE first weekend of Spring saw fine and sunny conditions and a true sense of finals fever as the second season officially began in earnest. The first week of finals saw old rivals East and South Fremantle meet at Fremantle Oval on Saturday while Peel and Swan Districts met in the qualifying final on the Sunday at Claremont Oval. The two games were held at the same locations to where the Seniors were playing their finals. For those individuals who have been lucky enough to play at this time of year, they will tell you that it is a completely different type of footy compared to the home and away season. It is a time when reputations are earned and careers are made. For the next generation of stars, the next month will be a great learning tool in their fledgling careers. A stunning 14 goals to two second half display saw reigning premiers East Fremantle storm their way into the second week of the finals series with a 62-point thrashing against old rivals South Fremantle on Saturday morning, ending the Bulldogs season. Both teams came into the game knowing each other extremely well having played each other just six days ago when the Bulldogs ran out victorious by 18 points which saw East Fremantle blow their opportunity of finishing in the top three and slip down into this elimination final clash. In their two other meetings in 2018 it was the Bulldogs who ran out victorious by 38 points in round four, while East Fremantle registered a victory in the traditional WA/Foundation Day clash by 14 points. The Bulldogs got off to a strong start leading by eight points at quarter time with Luke Moore continuing his strong form from last week, causing a fair share of headaches for the Sharks defence. East Fremantle started the second term with a real sense of purpose kicking the first two goals to briefly take the lead, but it was the duo of Moore and Ira Jetta who were looming as being extremely influential to the outcome of the contest. The Bulldogs went to the long break by kicking three consecutive goals to lead by 13 points with Moore kicking four goals for the half. Once again East Fremantle got off to a strong start to the quarter courtesy of goals to Dillon O’Reilly and Edward Curley and scores were now locked at 40 points a piece. Unlike the second term, the Sharks kept up with their momentum and O’Reilly put them back in front. The game was compelling in its nature with South Fremantle hitting back once again when Moore kicked his fifth goal of the game. There was now an old-school shootout taking place at either end of the ground as O’Reilly kicked his third for the quarter and the son of the former Geelong and Fremantle full-back was causing massive concerns for the Bulldogs coaching thrust kicking his fourth for the all-important third term. Nash Miller kicked the seventh goal of a thrilling quarter of action, but Cody Smith responded in kind to push the lead out back beyond double figures. A late goal by Ethan Brown gave the Sharks a handy 17-point buffer with a quarter to play. The main question going into the final 25 minutes was whether the Bulldogs had an answer to East Fremantle’s third quarter blitz, or if the Sharks could carry on the with the job. The answer was the latter as East Fremantle kicked another seven goals to nil to finish with a resounding 62-point win and will play the loser of the clash between Peel and Swans. It was almost hard to keep up with the scoring action such was the regularity of the Sharks entries into their forward line. It could be said that East Fremantle lured their Fremantle rivals into a false sense of security after last week, keeping something up their sleeves to hit them with and they certainly did so with a crisp, clean knockout punch. In doing so, the Sharks put the top three teams on notice that they are not going to give up their premiership without a fight. A clear sign of East Fremantle’s superiority after the break came courtesy of the inside 50 count. At half-time it was locked at 18 a piece, but come the end of the game the statistic had been flipped on its head to see East Fremantle hold an advantage by 19 (45-26). That naturally translated to a number of scoring shots and the Sharks had 18 for the second half (14.4) compared to just three for the Bulldogs (2.1). Versatile swing man O’Reilly was an absolute colossus for East Fremantle and his impact in the second half was one of the main reasons for the momentum switch in the match. He finished with six goals to go with nine marks and 19 disposals. Milan Murdock worked tirelessly all game racking up 26 disposals and 14 tackles, while Dylan Curley was a livewire in the forward 50 with four goals to go with his eight tackles and three marks. South Fremantle proved over the last month of the season that they were a deserving finalist, playing the kind of football that wins you games in September. That continued in the first half of the elimination final, but they were left wanting in the final half, unable to keep up with their opponents. Continuing his consistent form all season, Kyle Hamersley was a willing worker in the midfield with 25 disposals and six tackles and had support in Matthew Ward with 22 disposals and seven tackles. Moore was the dominant player on the ground in the first half with four majors, but as his team struggled to get their hands on the ball, the forward was naturally starved of opportunities only kicking one goal after the long break. Swan Districts overcame the ghosts of finals past as they produced a composed performance defeating second placed Peel Thunder by nine points at Claremont Oval on Sunday morning. Both teams had split their two meetings in 2018, with Swans’ winning a thrilling affair by two points in round two, but Peel emphatically turned the tables in round 13 thrashing their opponents by 62 points. The first goal of this contest came courtesy of a strong mark and goal to Jarrod Cameron and they followed that with a major to Nathan Ireland thanks to a ruck infringement. Peel had no difficulty getting the ball inside their 50-metre arc but were struggling to find a key target to make the most of their opportunities. Atem Deng then set up Cameron for his second of the quarter and the Swans went into quarter time with a 16-point lead. Peel would have been looking for better’ composure with ball in hand and it didn’t take long for that to eventuate when a pin-point kick by Jake Howes set up Lachlan Cullen for their first goal. Peel were now dominating field position and Swans’ were looking to weather the storm and hit the Thunder on the counter attack. They did just that when Ayden Cartwright kicked his first goal from a mark and then some clever play from Cameron put Patrick Farrant into space and he converted on the run from 45 metres. Peel hit back through a mark and goal from a acute angle by Ben Middleton and were well and truly back in the game when Killian Rawson converted smartly from a stoppage cutting the margin to just 12 points. A screamer by Fremantle Dockers next generation prospect Jason Carter then set up another scoring opportunity, but Cullen missed to the near side and that summed up the first half for Peel a nutshell as they had many more inside 50s and double the scoring shots, but just could not capitalise. The third quarter underlined the nature of this contest with plenty of big tackles, great pressure from both sides and missed opportunities. Swans’ edged the quarter two goals to one courtesy of two great individual bits of play from Cameron, one from the boundary and the other a set shot from 50 metres which stamped his class on the contest. In between those goals Jarrod Fazioli kicked Peel’s fourth major to keep them in the hunt. Heading into the last term, Peel needed roughly four goals to win but that looked to be a tall task, having only kicked four goals for the first three quarters. Deng started the fourth term with a great tackle inside the Swans’ forward 50 which earned him a free kick and his subsequent finish gave them a three goal lead. Riley Garcia then topped off a typically hard running game with a goal which moved them one step closer to a semi final clash with Subiaco. Needing a piece of inspiration to keep them alive, a clever kick out of a pack by Cameron Gavin gave them the smallest glimmer of hope with 13 minutes left. Their chances grew a little more hopeful with a terrific goal by Middleton which gave them back to back goals and some late momentum. Peel then wasted some late scoring chances and eventually when Middleton converted an opportunity by kicking his third for the game, there was just over a minute left and Swans’ were able to see that out without any drama to claim a well deserved win. They have earned a clash against minor premiers Subiaco in the major semi next week while Peel will meet East Fremantle in the minor semi final. Although the margin was only nine points at the end of an intense encounter, make no mistake Swans were certainly the deserving winners having made all the running throughout the contest. The win ended four straight losses in finals for Swans’ who have been September regulars over the past five seasons winning the 2014 premiership runners-up to Claremont a year later. Ironically their last win in September came against Peel in the 2015 Preliminary final. A feature of Swans’ victory was their pressure around the ground and that was emphasised by the fact that Swans had 90 tackles for the game, 22 more than their opponents had on the day. They were also able to soak up a lot of pressure conceding twenty more inside 50s (54-34) and were more efficient as they had just one less scoring shot for the game (17-16). In terms of best players, Swan Districts had many but for overall impact there was none better than Cameron who despite having just the nine disposals, made every one of them count by kicking four goals and setting another one up in a permanent forward role. He presented well up at the footy with seven marks and laid five bone bruising tackles. The midfield unit was led superbly by Mitchell Bain who had 31 disposals and eight tackles along with Garcia with 24 disposals. Meanwhile the defensive unit was well marshalled by the likes of Denzel More, Brenton Hilton and Jake Pasini who for the majority of the contest kept the key figures in the Peel forward line at bay. Peel also had a strong showing from their midfielders in Lachlan Riley (30 disposals and five tackles) and James Sturrock (29 disposals and six tackles), while the very promising Carter was pushed into the midfield in the last quarter after a composed game at half back finishing with 20 disposals, seven marks and four tackles. THREE of the four games were decided by 59 points or more in the West Australian Football League (WAFL) Colts, in a round that was probably not one to remember if you were part of the losing sides. The biggest shock was West Perth’s thumping away victory over the previously undefeated Subiaco, to see the ladder remain tight between the top seven sides with eight points separating first from seventh. Peel Thunder produced a thumping 13-goal victory over Claremont to receive a huge percentage booster despite the win being just its second for the season. The Thunder led by 22 points at half-time before putting the foot down in the second half, running away with it following a 13 goal to four half to register the 78-point win. They dominated most statistical areas despite losing the hit outs, and had a 24-13 free kick differential in the match. James Sturrock topped the disposal count for the winners with 30 touches, six marks, six tackles and five inside 50s, while Lachlan Riley had 28 disposals and six marks of his own. Jake Howes was prominent with 27 disposals, five marks, six tackles and four inside 50s, while Jackson Perry took seven marks from his 25 disposals. Jarvis Pina (22 disposals, one goal) and Bradley Oldfield (21 disposals, two goals) were prominent across the ground while Lachlan Cullen (five goals) and Tyrone Thorne (three goals) were the dominant forwards on the day. For the Tigers, Rylie Morgan was the highest ball winner, notching up 23 disposals, four marks, four tackles, four inside 50s and booting a goal, while Tyron Smallwood also finished with a major from 20 disposals, two marks, four tackles and six inside 50s. Nathan Pearce (17 disposals) and Corey Hitchcock (14 disposals) were the next two highest for the losers in the heavy defeat. In a strong defensive performance, Swan Districts got the job done against South Fremantle, restricting their opponents to just three goals for the day. The Swans never looked liked losing after quarter time, having 11.9 to 1.7 by the final break. While the Bulldogs booted two of the last three goals of the game, it was never going to be enough, with the visitors recording a 61-point victory. Graydon Wilson was busy for the winners, racking up 29 disposals, nine marks, five inside 50s and two tackles, while Brenton Hilton picked up 27 disposals and four marks. Riley Garcia laid five tackles, had four inside 50s and booted a goal from 25 touches, while Atem Deng was prominent up forward with four goals from 17 disposals, as was Patrick Farrant (four goals). Regan Spooner stood tall in defeat for the Bulldogs, notching up 29 disposals, seven marks and five tackles, while Luke Moore was everywhere, booting two goals from 22 disposals, six marks, six inside 50s and two tackles to be South Fremantle’s best. Tom Blechynden continued his good form this season with 21 disposals, four marks and five tackles, while James Russell had 17 disposals, six marks and five inside 50s. West Perth has recorded a huge upset victory by toppling the previously undefeated Subiaco. Coming off a bye, the Lions found the going tough after half-time, booting two goals to the Falcons’ 10, as the visitors gave them a wake-up call. The loss saw Subiaco drop from top spot, while West Perth received a healthy percentage boost after a mixed season thus far. Nathan Murray was amongst everything for West Perth, racking up 30 disposals, four marks, seven tackles, three inside 50s and a goal, while Daniel Rowe had a game-high 11 marks from his 27 disposals, four tackles, four inside 50s and a goal. Filimone Muavou was one of four multiple goal kickers for the Falcons, finishing with two majors, 17 disposals, and six marks. Koopah Todd and Ben Johnson both booted two goals and had a combined 31 disposals and nine inside 50s, while Logan Foley was the definition of clinical, booting 4.1 from five kicks and five marks up forward. For Subiaco, Tristan Hobley had 24 disposals (20 kicks), five marks, three inside 50s and booted a goal, while the Hickmott brothers were again amongst the best. Will had 24 disposals, seven marks and two tackles, while Liam notched up 17 disposals, two marks and laid six tackles. Jacob Peletier was the other ball winner with 20 disposals, six marks and a goal, while Sam West and Jack Mayo were the Lions’ multiple goal kickers on the day. East Fremantle survived a first half scare at home to see off cellar dwellers East Perth at home. The Sharks found themselves trailing by 17 points at the half, before booting 10 goals to four after half-time to run away with a 19-point win and sit just inside the top five. Corey Robinson was prominent for the winners with 26 disposals, seven marks, six tackles and two inside 50s, while Milan Murdock was East Fremantle’s best, notching up 23 disposals, five marks, eight tackles, four inside 50s and capitalising with two goals. Joshua Ritchie also booted two majors from his 13 disposals, as did Cameron Davidson. Nicholas Watson was good in the ruck with 29 hitouts and 13 disposals. For the Royals, Thomas Baulch had a fantastic defensive game, laying a game-high 10 tackles to go with his 25 disposals, nine marks and six inside 50s, while Louis Miller was also prominent with 23 touches, six marks, six tackles and five inside 50s. Damon Greaves (23 disposals, seven marks) and Harley Sparks (19 disposals, two marks) with the other major ball winners, while Ben McGuire (four goals) and talented bottom-ager Rhai-Arn Cox (three goals) were the dangers up forward. 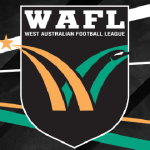 IN a special Triple Header at Fremantle Community Bank Oval, six of the nine teams took part in a huge day of football in the West Australian Football League (WAFL) Colts. Here is how that day, and the standalone Sunday game unfolded in round five. Claremont won its second game for the season on the weekend with a comfortable 35-point win over South Fremantle. The Bulldogs sit eighth on the ladder with just the one win, while the Tigers are now fourth overall in what is a close competition outside of Subiaco, who had the bye on the weekend. Tyron Smallwood topped his team’s disposal count with 25, to go with his five marks, six tackles and two goals, while Jack Monaghan had 18 kicks in his 24 disposals, six marks, nine inside 50s and two goals. Rylie Morgan applied plenty of defensive pressure, laying 12 tackles to go with his 22 disposals, five inside 50s and a goal. Thomas Baldwin and Oliver Henderson both notched up 20 disposals apiece, while Lewis Henry and Will Stockwell laid nine tackles each. For the losers, four players had 24 disposals in a shared effort. Kyle Hamerseley (three marks, nine tackles), Regan Spooner (six marks, three tackles), Matthew Ward (five marks, seven tackles) and Tom Blechynden (three marks, six tackles) were all prominent on the day. Benjamin Pears had 30 hitouts along with his 12 disposals, two marks and four tackles, while Thomas Weston was a lone hand up forward, booting four of his team’s five goals. East Fremantle hold onto a narrow spot inside the five with just over five per cent separating the Sharks from West Perth either side of the dividing line. Swan Districts had the opportunity to stay in touch with the top two but fell to the Sharks in a four-goal defeat. Milan Murdock was East Fremantle’s top ball winner, notching up 24 disposals, four marks and laying a game-high 10 tackles. Joshua Ritchie was also impressive with 24 disposals, nine marks and two tackles, while Aaron Meadowcroft got it done both offensively and defensively with 17 touches, two goals and seven tackles. Nicholas Watson was impressive in the ruck with 40 hitouts from nine disposals and four tackles, while Dillon O’Reilly booted four goals in the Sharks’ win. For Swan Districts, Riley Garcia had 23 disposals, three marks, two tackles and four inside 50s, while Brenton Hilton had 20 disposals and nine marks, spreading well. Mitchell Bain laid five tackles from 20 disposals, three marks and four inside 50s, while Kade Walldrot booted three goals to go with his 11 disposals and five inside 50s. A six goal to one second half has propelled Perth to its fourth win, ensuring the Demons hold down second place on the table. The Demons had to do it the hard way, booting five goals to zero in the third term to run over the top of the Falcons and record a memorable 12-point victory. The top-end talent of the Demons really shone, with Luke English notching up 30 disposals, two marks, seven inside 50s, five tackles and two goals. Sydney Stack had 27 disposals, four marks, six inside 50s, six tackles and two goals, while top West Australian prospect Ian Hill had another magnificent game with 21 disposals, three marks and booting 3.3. Meanwhile Bailey Smith booted two goals from his 14 disposals and four marks. For the Falcons, Nathan Murray was the clear standout on the day, collecting 27 disposals and booting three goals while laying nine tackles. Alex Johnson had 23 disposals, six marks and three tackles, while Bailey Chalmers was also good with 20 disposals, three marks, four tackles and six inside 50s. Filimone Muavou (18 disposals, four tackles) was another who stood out for Perth. East Perth have come from behind at half-time to record the narrowest of victories over Peel Thunder – the Royals’ first win of the 2018 season. In what was a relief for the Royals fans, they had to do it the hard way after conceding six goals to two in the second term to trail by nine points at the main break. A four goal to two third term put them back in front and they held on to win by a point. Louis Miller was a key leader in the Royals’ victory, amassing 25 disposals, eight marks, three tackles, five inside 50s and booting a goal. Damon Greaves was also impressive with 24 disposals, seven marks and a goal, while Thomas Baulch snagged a goal from 20 disposals, 10 marks and six inside 50s. The next two highest possessions winners Jared Hamer-Mathew (19) and Harley Sparks (15) both booted two goals in the win. For the Thunder, Andrew Butler was the top possession winner with 21 disposals, six marks and four inside 50s, while James Sturrock was the only other player with 20 or more disposals. Bradley Oldfield was impressive in front of goal, nailing three goals from 19 disposals and four marks, while Jarvis Pina had 18 disposals and nine marks, and Jack Sears booted three goals from six disposals and five marks in an efficient display up forward.